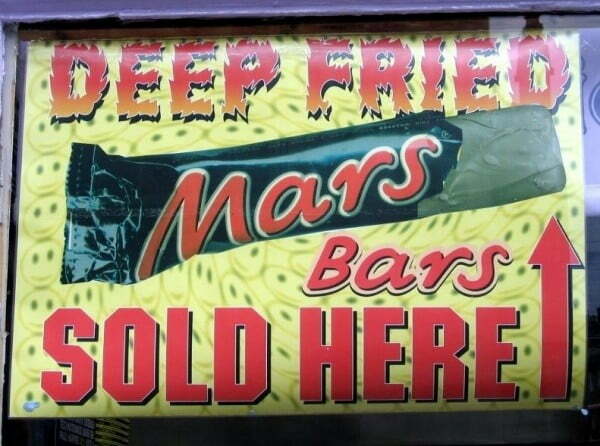 The deep-fried Mars bar is one of Scotland’s most unlikely culinary success stories. Although it may not exactly sound like a dish out of Masterchef, it is actually a delicious blend of a sweet centre with a crunchy coating, and when served with whipped cream or vanilla ice cream it is a stunning dessert. 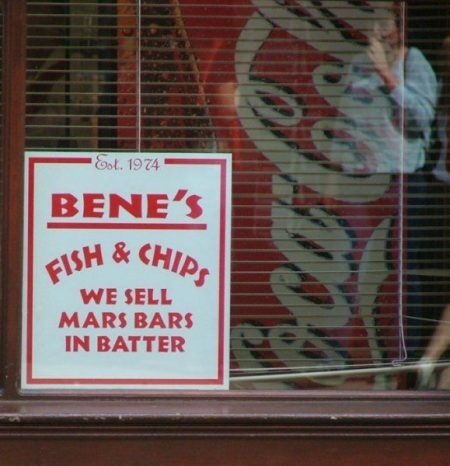 The invention of the deep-fried Mars bar is claimed by a chip shop in Stonehaven over 20 years ago, and since then it has been adopted across the country. As the capital city, Edinburgh does of course have a number of outlets happy to supply the delicacy. Cafe Piccante at the top of Broughton Street in the New Town is well known for its deep-fried Mars bars and generally has great reviews. The Clam Shell chip shop on the Royal Mile is another shop that offers Mars bars straight from the fryer. Bene’s on the Canongate (near the Royal Mile) is also known to sell them. While many chip shops don’t advertise, usually they will fry you up a Mars bar if you ask. After you’ve tasted this you might want to set about making your own. Luckily it’s not that difficult and there are plenty of recipes to help. Here are a selection. There’s a recipe for them on the Canadian Food Network here. And there’s another on this Australian kids’ recipe website. Once you’ve mastered the Mars bar you could try others; Snickers and Bounty seem to work particularly well.